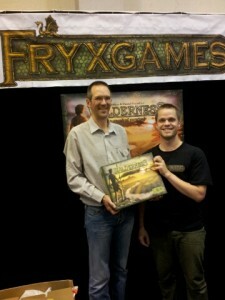 We are very excited about going to Essen again and meeting the wonderful crowd of gamers. It’s like coming home to another world, where all the people are friendly and share the same interest. Utopia! 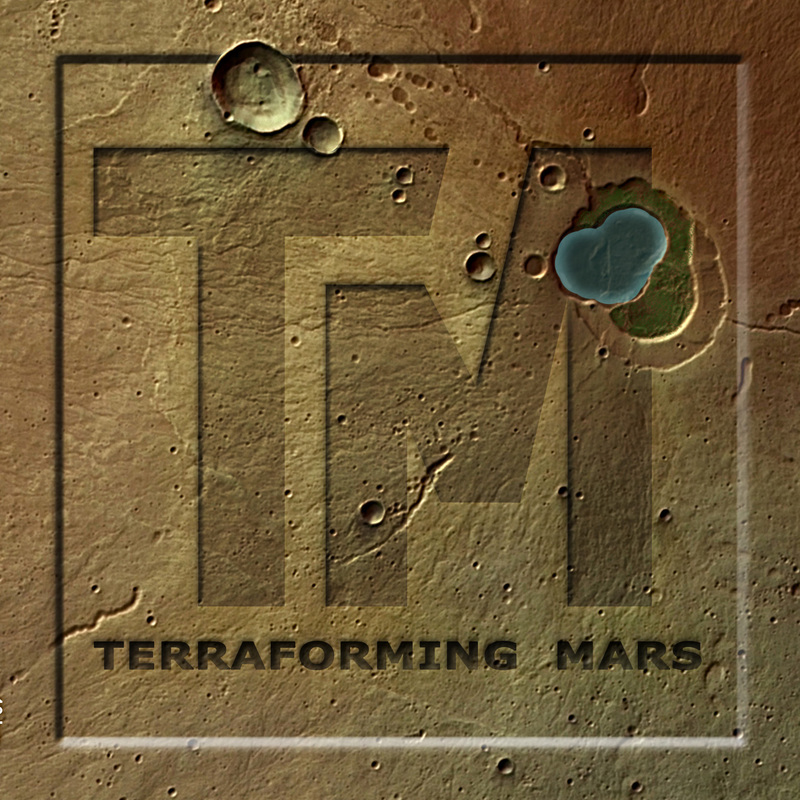 Terraforming Mars is still not printed, and we, as well as many others, are still waiting eagerly for it to be released. It’s gonna be great! 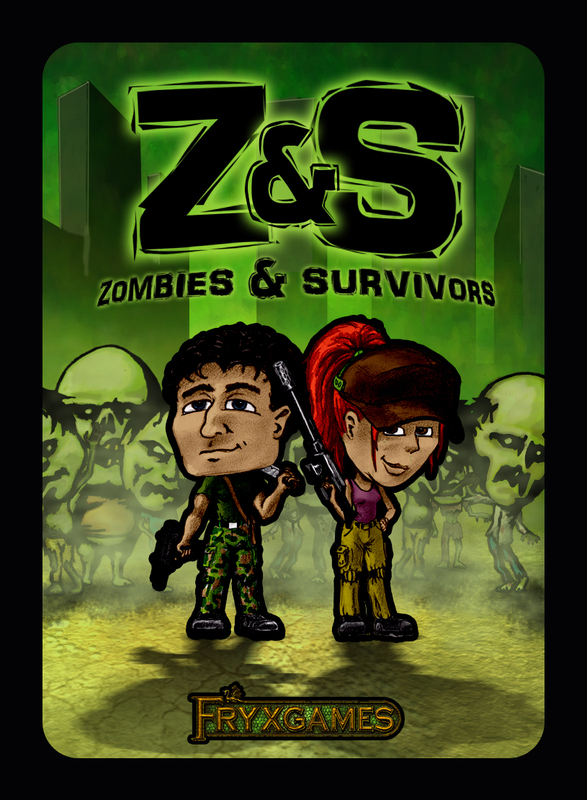 But while we wait, you can visit our booth and playtest the latest game prototype. Would you like to be a part of a future FryxGames release? Come and get a sneak peek at an exciting new project, and maybe you can even get a prototype to bring home from Essen… Welcome! Choose 3 different items – pay for 2! 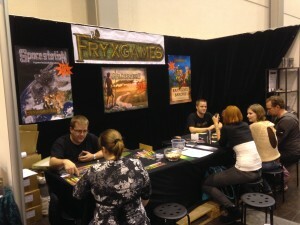 Booth 3-P101, that’s where you’ll find us in Essen. If you want a taste of Sweden we encourage you to pay us a visit; we have all our released games, including our last copies of Wilderness and our very first copies of Fleets. And candy. Lots of candy. Welcome! 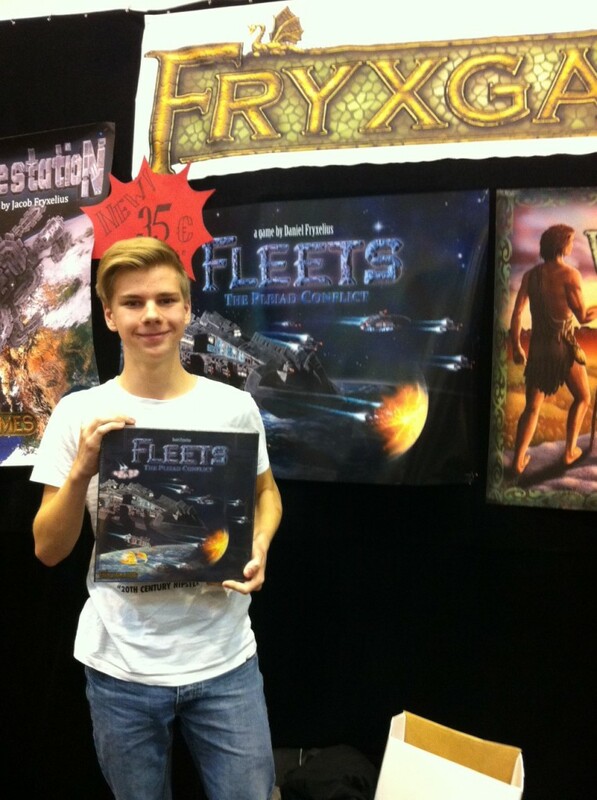 Saturday: 11-14 Fleets Conquest – Win your own copy of the game! 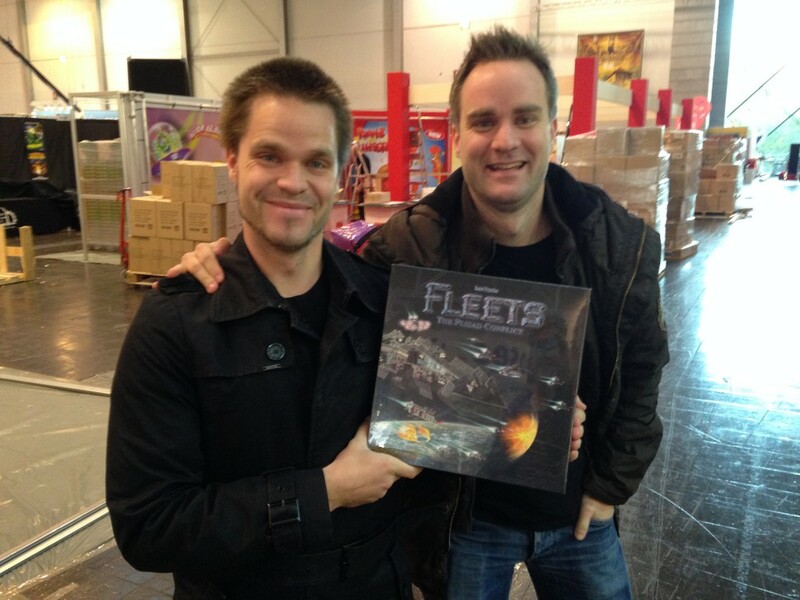 Qualify to the final by playing and winning Fleets during the fair. Saturday: 15-16 We present our next game, and it’s a big one! Join the FryxGames network and become a beta-tester. We are happy to announce this year’s Essen Price List. Buy 3 games, pay for 2! Fleets – The Pleiad Conflict can now be preordered for pickup at Essen Spiel in October. The game will be delivered directly to the fair from the factory. Price: 35€, paid at the fair. Why stop at one game? FryxGames will have a bundle offer: If you buy 3 of our games, you get the cheapest one for free! 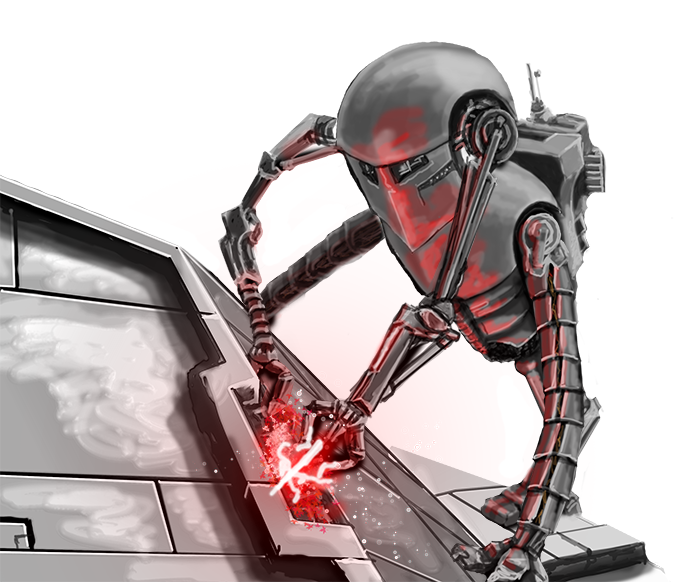 If you have a BoardGameGeek account, you can promote us by liking Fleets on this geeklist. All comments and visits to our gamepage promotes Fleets, so feel free to help us out! 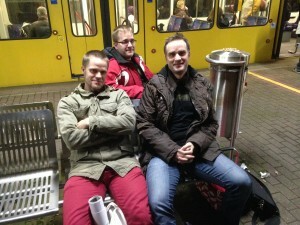 Last week we attended Essen Spiel, Germany, for the third year in a row. With its approximately 150 000 visitors, it’s an overwhelming experience to be able to show off our games to the public. We want to thank everyone who came by and tested, bought, and gave feedback on our games. We sincerely hope that it has been as fun for you as it has been for us! It was good to see so many familiar faces from previous years, even some of those who bought our first handmade edition of Wilderness two years ago. 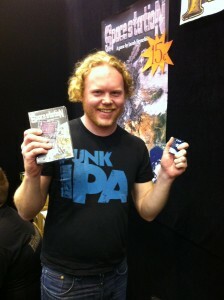 Space Station Champion Frode Braendo, who won the game, the promo pack, and the handcrafted tin crew members. We launched no new games this year, but rest assured, we’re not sleeping. Next year will be grand! On our way to Essen! We’ve started our journey to Essen. 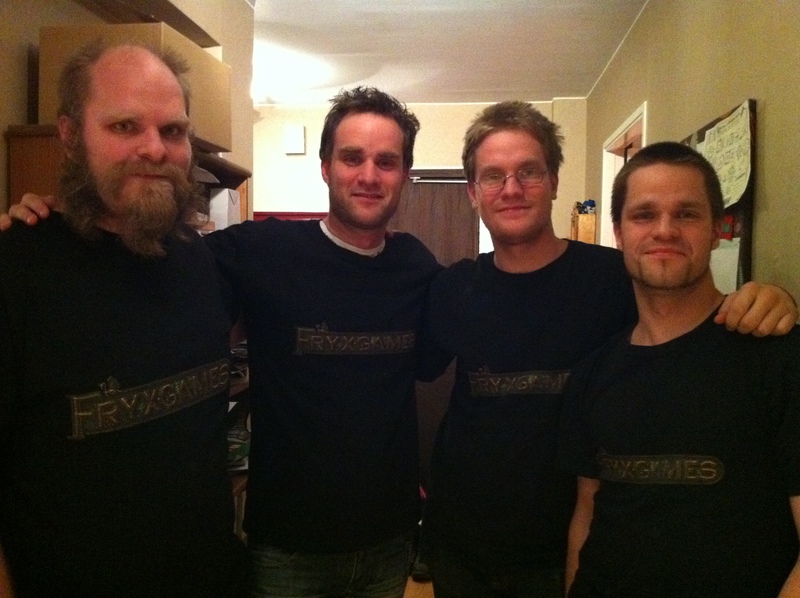 Jonathan and Thomas drove down to Malmö for 8 hours to join Enoch (with awesome wife Nina) and Daniel. We’ve had a wonderful evening playing Space Station with our new promo pack and semi-painted tin crew members, both of which will be available for the first time in Essen. 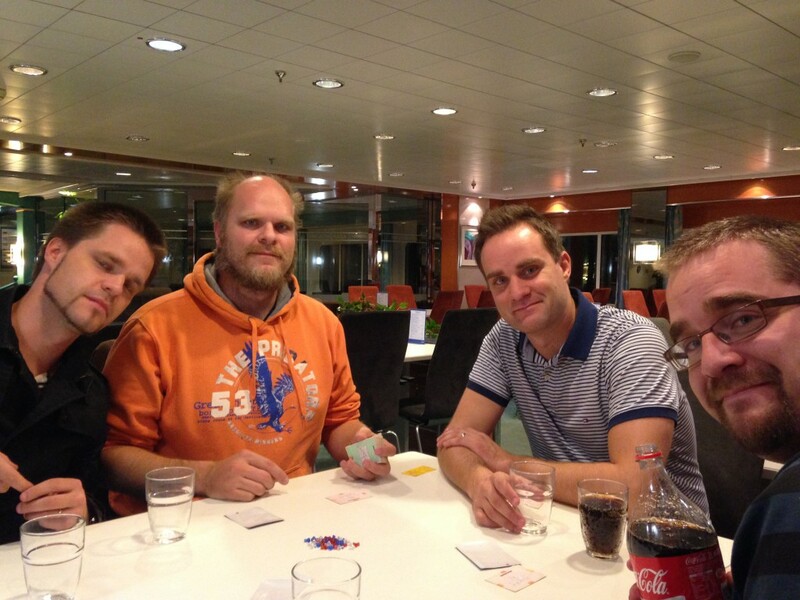 Unfortunately, Jacob – the designer of Space Station (and possibly our next release) – couldn’t join us for this year’s Essen event, so we feel a bit incomplete. But we still have high hopes and a lot of confidence in this year’s Spiel convention. 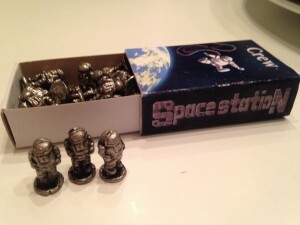 Even though we have no new titles this year, we have promo packs for both Wilderness and Space Station, handmade tin figures for both of those games, and best of all; we have a special price for our gamepack! 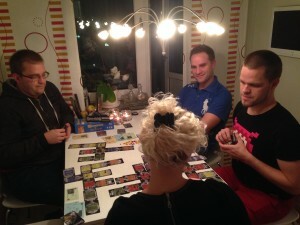 In Essen, the game pack will cost 45€, instead of the 82€ usually charged for all these items if bought separately.